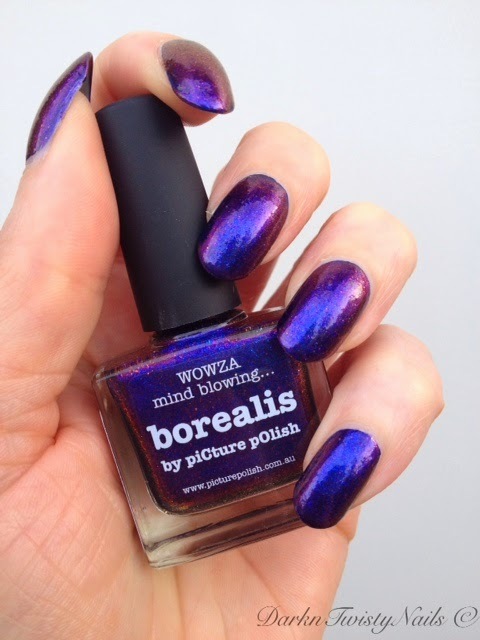 I seem to be on a bit of a Picture Polish kick lately, but that is totally not my fault! They just keep coming out with one gorgeous polish after another! How am I supposed to resist? I have no self control when it comes to beautiful polish... The one I have for you today is the most recent Limited Edition shade. 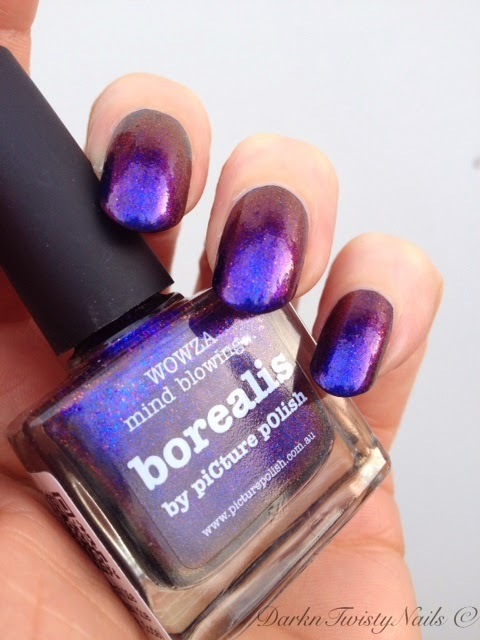 piCture pOlish Borealis is a blue, pink, purple multi chrome polish packed with micro glitter. It has such a strong shift, in some lights it almost looks like melted copper. The formula is really nice, it's easy to paint and over a dark base, all you need is 1 coat to get the full effect. 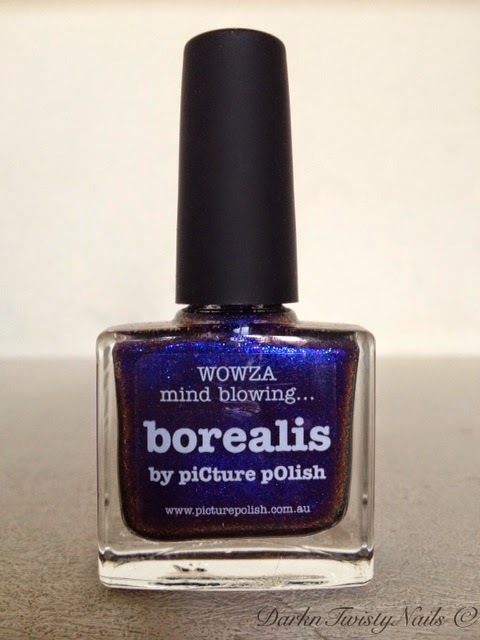 You could wear this on its own, but you would need 3 - 4 coats to get it fully opaque, so I wouldn't recommend it. 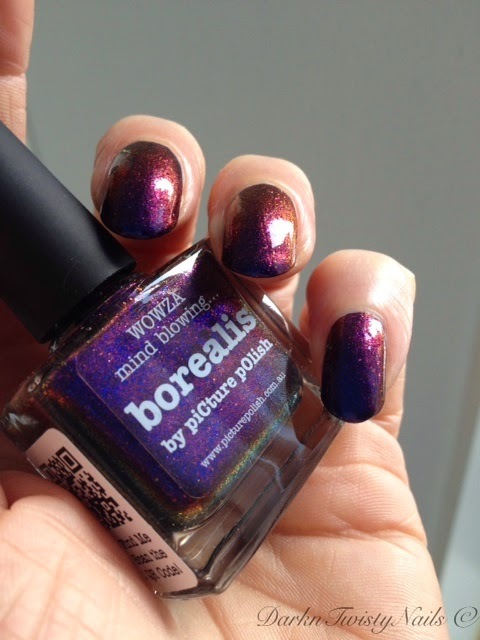 I've layered this over a dark navy blue (China Glaze Up all night) and I absolutely love it! I've had so many people commenting on this manicure, it definitely attracts attention, especially when the sun hits it and the glitter comes out to play. Oh boy... I just want to sit in the sun, move my fingers and admire the shift all day long! Did you pick up any of the Picture Polish LE shades? My that is stunning Anca!